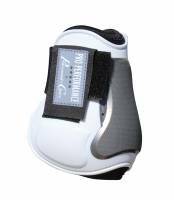 These boots feature a ventilated dual hardness outer shell which is designed to dissipate energy when the strike area is hit. 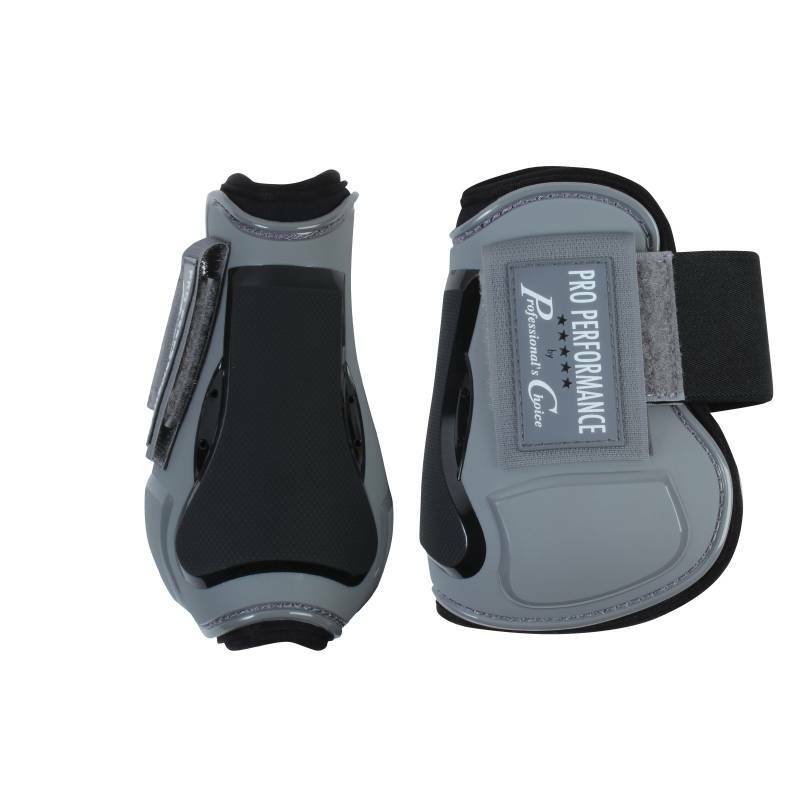 The shock absorbing air cushion fits in an anatomically shaped strike area, reducing the force of impact and then returning to its original shape. Perfect for both schooling and the show ring. Sold in Rear Pairs. 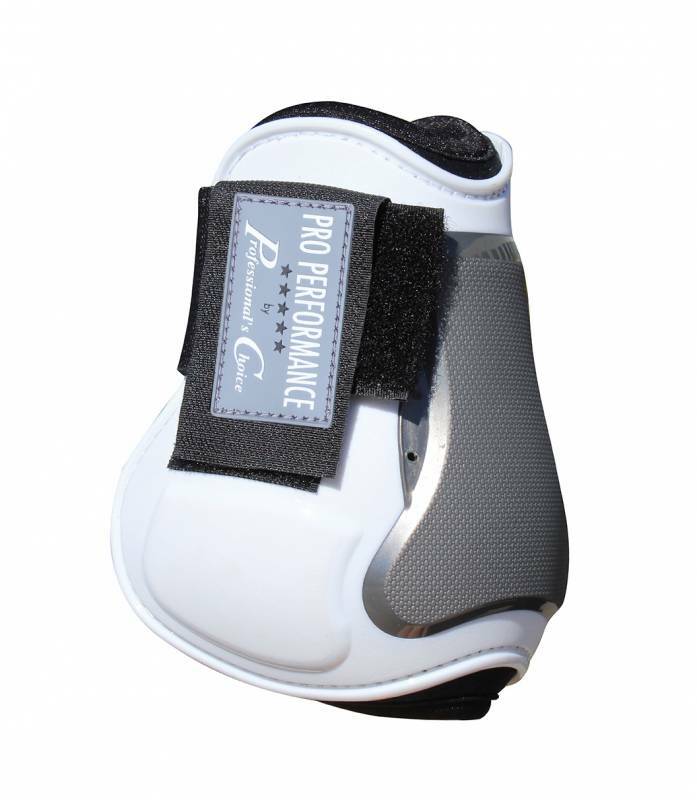 Pro Performance Show Jump Boots are designed with an innovative, shock absorbing air bag cushion for maximum tendon impact protection. 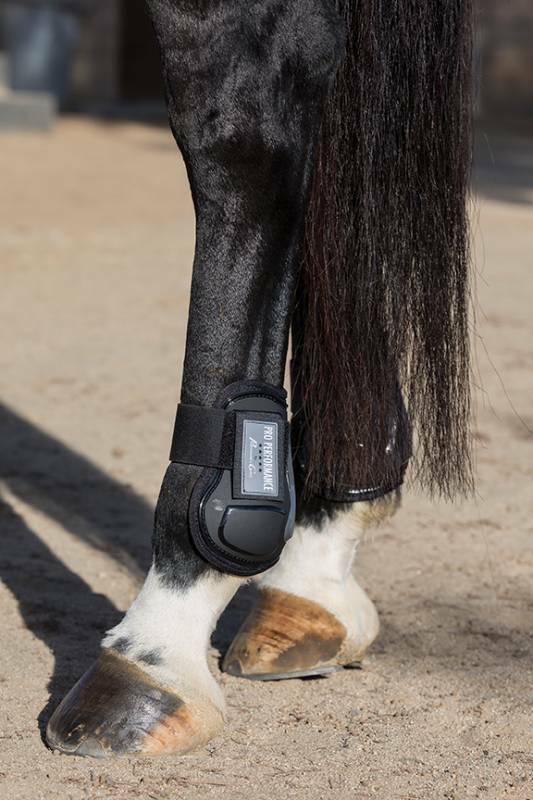 These anatomically shaped boots are lightweight, comfortable and sit perfectly positioned on the horses leg. The boots do not absorb water, are durable, easy to clean and quick to dry. 30-Day Money-Back Guarantee/Six-Month warranty or as required by law.